Join the next Danube Participation Day organised by the PA 10 Institutional Capacity and Cooperation, Danube Civil Society Forum, Transylvania Social NGO Federation, Sustainable Development Group Constanta coming up in June in Bucharest, Romania. Detailed information about the event will be accessible soon! People of all generations and ethnicities from all Danube countries participate in the project “Bread connects”. For this commitement the Danube-Networkers were awarded in December 2018 with the 1st Place of the “Civil-Society” Price from the European Economic and Social Committee (EESC). Nominated with 5 other European projects, the project “Bread connects” and President of DANET e. V. , Carmen Stadelhofer, and Vice-President of DANET e.V. Emily Velikova, were invited to Brussels to recieve the award. The final placement of each project wasn´t made plublic before. The joy was overwhelming when it was finally anounced, that “Bread connects” recieved the first place of the “Civil- Society”- Price. This international conference investigates how cultural education and cultural participation relate to challenges of access, social cohesion, heritage and cooperation. What is the best way to channel our research and policies in order to promote an open, inclusive, resilient European society? We invite professionals, researchers and policy makers in cultural education and participation to join us. Nine partners from six countries and one goal: Strengthening European awareness through transnational projects and methods. “Building Bridges for Europe” is the name of the project which is financially supported by the EU for two years. The focus of the project is on developing an online toolbox which will contain a collection of proved and tested methods and projects which will support European awareness. The second partner meeting took place at the monastery of Roggenburg from 15th to 18th July with approx. 40 participants from Romania, Bulgaria, Croatia, Italy, Slovenia and Germany. For three days the participants adjourned to the monastery of Roggenburg in order to work on the development of an online method toolbox with high concentration after the turbulent partner meeting during the international Danube Festival Ulm/Neu-Ulm. With the help of this toolbox, future organisers of projects and activities shall be given stimulation to support critical thinking and European awareness. The cooperation was not always easy, there were language barriers, different approaches and interdisciplinary differences were to overcome. An analysis guideline as a basis for the collection of projects and methods is developed. Furthermore, categories and search words were developed which should enable practical and low-threshold approaches to the contents of the toolbox. In between the partner meetings, communication takes place via Internet, a website and a Facebook account also contribute to the distribution of the idea. The project “Building Bridges for Europe” is conducted by partners of the European umbrella organization “Danube-Networkers for Europe (DANET) e.V.” under the coordination of the affiliated institute ILEU (Ulm). They are accompanied by partners from Bulgaria, Italy, Croatia, Romania and Slovenia. Further partner meetings in Zagreb and Mola di Bari are planned. We accomplished the goal! More than 1000 Photos were submitted and more than 3000 people participated in the action an send a sign of friendship along the Danube! This activity showed us: We want to know each other better, we want a united and peaceful Europe! At the evening the Danube-Networkers will celebrate 10 years of Danube-Networkers in the house of encounter, Ulm. At Saturday, 14th of July 2018 there will be a partner day with preparatory baking activities in Ulm. The baked goods will be for the Danube Bridge Breakfast. The weekend’s highlight will be the Danube Bridge Breakfast at Herdbrücke Ulm on Sunday, 15th July. For the Danube Bridge Breakfast citizens from Ulm/Neu-Ulm and the surroundings, as well as people from different Danube countries are invited to small snacks and talks about everyday life, cultures, interests and experiences. The activity on the connecting bridge shall illustrate that we would like to get our neighbours along the Danbue, and live in a peaceful and solidary Europe united in diversity. The breakfast starts with a song for peace at 10.30 a.m., everyone is invited. 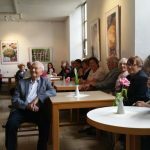 On 10th May 2018, the exhibition “Bread connects Europe: Create & bake” was inaugurated at Haus der Begegnung. A jury had chosen 28 exhibits from 79 submissions which represented the topic most aptly. Accompanied by sparkling wine and music, the visitors marvelled at the diversity of realisations which had one thing in common: the view of a conjoint Europe. In many cases the titles and the texts explain what the baker’s idea behind the creation was. Two compositions were found particularly good by the jury – the work of the student and apprentice Goran Gasparovski from Novi Sad, Serbia, who created a sculpture of a bull with Europa and also documented the work process. Also, the work “Brancusi’s Bread” by Netuta Stratulat from Galati, Romania, who implemented the topic based on the sculpture “Monumental Ensemble: Kissing Gate, Table of Silence and Endless Column” by Brancusi. The exhibition will be open to the public until 13th June 2018 but to give access to everyone who is not in Ulm, all contributions will be published on the website. 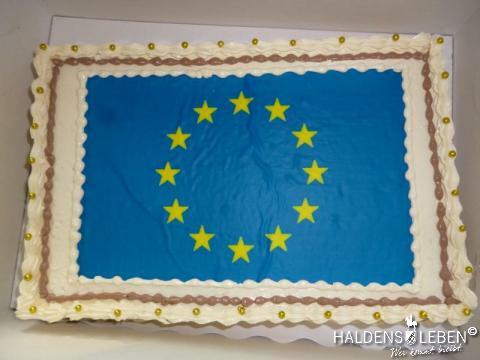 Creative Baking Competition: Create and bake “your” Europe! Try to express your feelings for Europe by joining this competition. There are no limits to your fantasy… Show us your baked idea of Europe. Your baked goods can be sweet or savoury; they can be colourful or decorated with seeds or special items… Whether you work alone or in a group – everything is possible. Just use some sort of simple dough, be creative and realize “your” Europe as a shaped bread. Use a simple baking tray as a background for your dough and design this area, as you like. Please send a photo of your creation on your baking tray, name it, and describe your idea (max. 200 words), and send it to: info@ileu.net. Deadline for submission is April 15th 2018. The Institute for virtual and face-to-face learning in adult education at Ulm University (ILEU e.V.) organizes this competition. By participating, the competitors transfer ILEU e. V. the right to show their pictures on- and offine. They also assure that they own the image rights for the people photographed. Please find further information on our website. 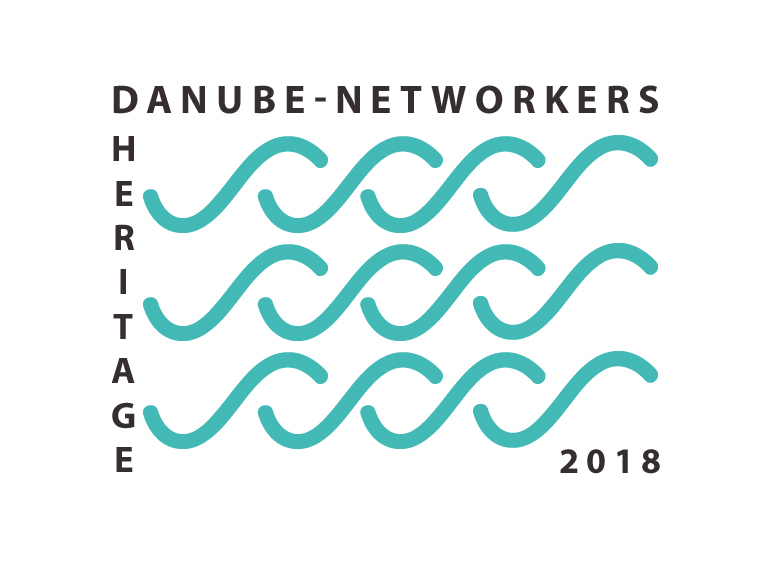 The main prize will be a trip for one or two people to the international meeting of the Danube-Networkers in Ulm from July 12th -15th 2018. The meeting is part of the 11th International Danube Festival Ulm/Neu-Ulm. There will be an equivalent prize for potential winners from the region of Ulm, a special prize for school classes and material prizes as well. The prizes offered are not exchangeable for cash. 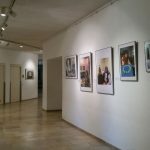 All winning photos will be shown at an exhibition in “Haus der Begegnung” in Ulm and during the International Danube Festival in Ulm/Neu-Ulm. 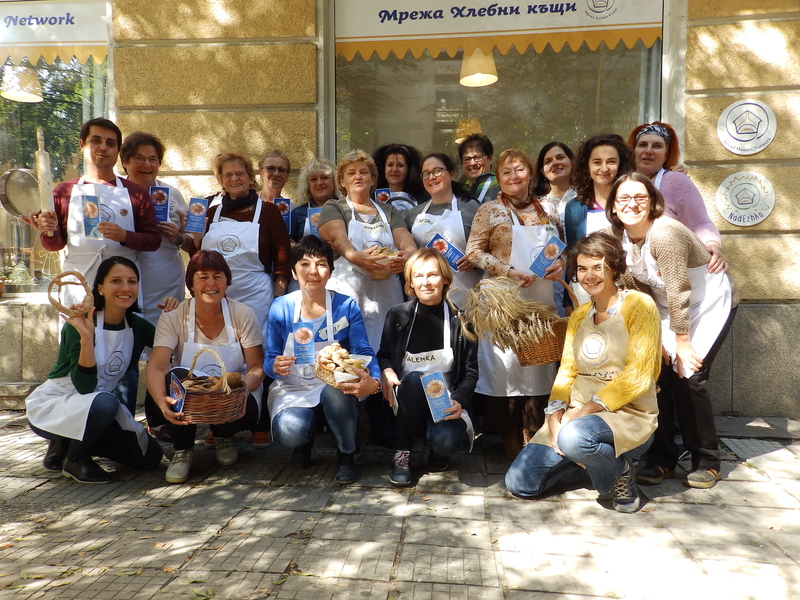 Bread connects – Give a sign of friendship along the Danube! Our pilot project „Correspondence with young and elderly pen pals” has started on Feburary 22th 2018. 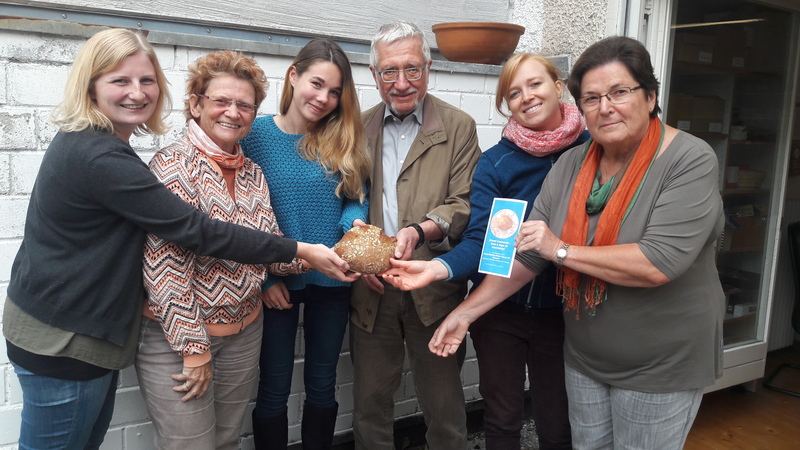 In the course of 5 weeks, high school students from Ruse, Bulgaria exchange views with senior citizens from Ulm and Oberursel in Germany and from Lodz in Poland. The aim of this project is to foster intergenerational exchange, and for the students to make active use of their German language skills. The 8th Newsletter is now online! The 8th Newsletter (December 2017) of the “Danube-Networkers for Europe (DANET) e.V.” is now online! The Danube-Networkers have created an advent calendar where you can find information about Christmas traditions and about some delicious recipes in the Danube countries made by Danube-Networkers participantsin the frame of the action “Christmas packages 2017” and some new contributions and nice videos about Christmas traditions. The project’s objective is the creation of an online Method-Toolbox which can be used in European education programs and actions in the context of adult and especially older adult education. Central task will be the development of criteria for the analysis of projects and methods with the focus on good practices in the areas of fostering critical thinking, European consciousness and solidarity and the reduction of prejudices. The Method-Toolbox should help to improve and extend the supply of high quality learning opportunities tailored to the needs of different target groups and individual learners. Partner organizations from Germany, Italy, Slovenia, Croatia, Romania, Bulgaria are members of the educational networks Danube-Networkers, the international association DANET e.V., the FEDERUNI Network of Italian Universities of the Third Age and in Bulgaria the Platform Agora. All partners are experienced in national and international work with different target groups, especially older learners. Give a sign of friendship! Bread Connects. Give a sign of friendship along the Danube! From 7th to 16th October 2017 the Danube-Networkers are carrying out a Danube Bread Baking Week with this motto. During this week, many actions concerning bread baking and bread sharing will take place in all Danube countries. People of all ages, ethnic origins and social backgrounds are invited to participate and through their actions to make concrete contributions to fostering of a peaceful and solidary community both in the Danube Region and in Europe. All participating groups will send a photo related to their actions to info@ileu.net, until the 31st October. It will be inserted in the website bread-connects.tastes-of-danube.eu. By this way, a large transnational virtual ribbon of friendship will be created! Join us!